Links: Please click on the links below to learn more about the Loop Current. Example Plots are below the Links. Ocean Remote Sensing - Johns Hopkins University Applied Physics Laboratory (SST). Rutgers Coastal Ocean Observation Lab - Real Time / Archived Satellite Imagery (SST). Spin Cycles - Winding path of warm water creates gulf's eddies (formation of Loop current rings). 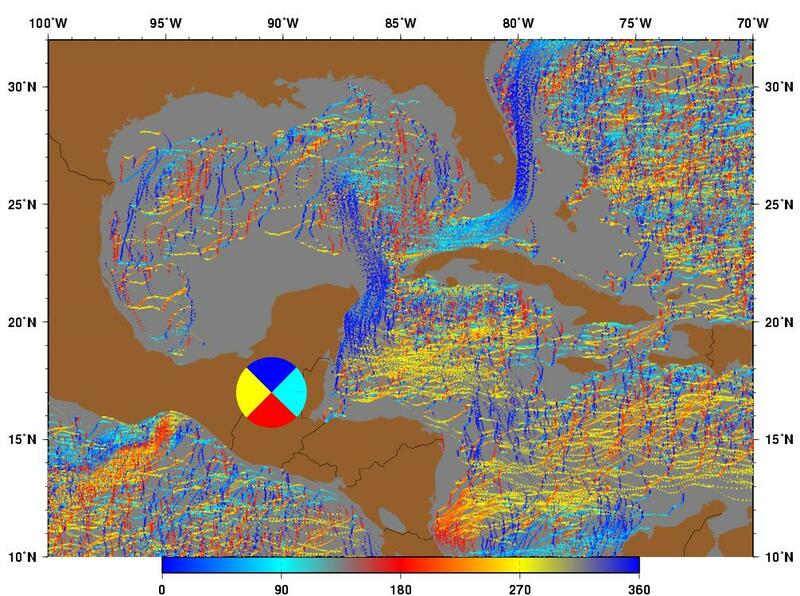 Gulf of Mexico Near-Real-Time Altimeter Data Home Page - by Colorado Center for Astrodynamics Research(CCAR) (near real-time sea surface height maps). Satellite images from the Gulf of Mexico - by Coastal Studies Institute Louisiana State University. NOAA Scientists Study How Hurricanes Intensify Over Deep Warm Pools of Gulf Water - (hurricane intensification over the Loop current and its eddies). 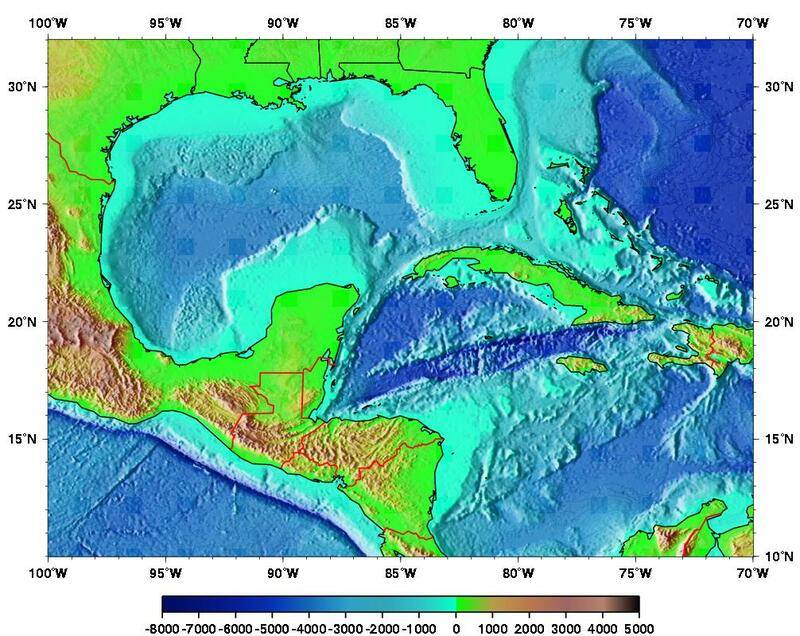 On the Circulation In and Around the Gulf of Mexico - A Review of the Deep Water Circulation, William J Schmitz Jr. (online book about Gulf of Mexico circulation). 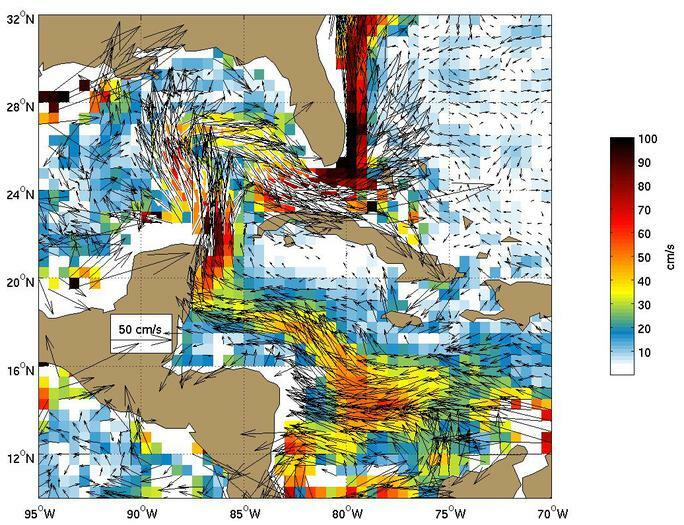 Path of the Gulf Stream - by Coastal Carolina University (Gulf Stream circulation). 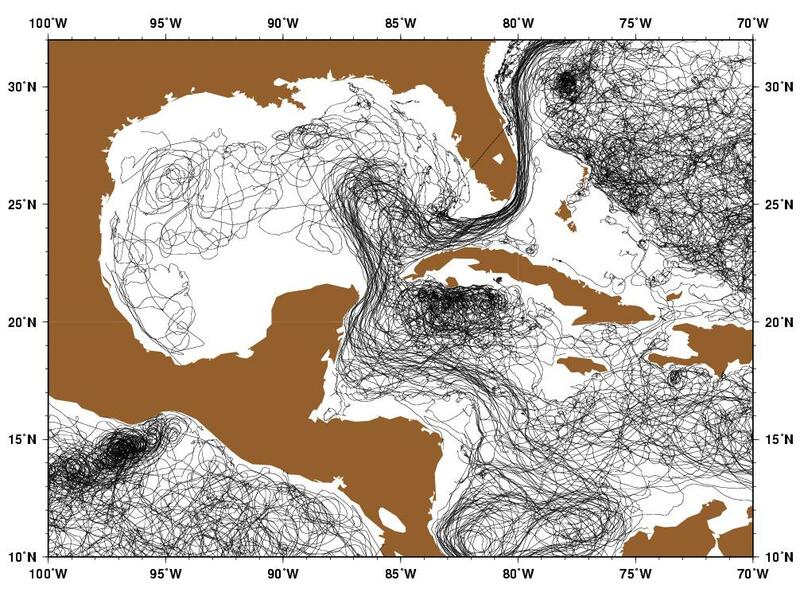 Prediccion de Mareas en Mexico - animation of drifters in the loop current. Example Plots: Clicking on a thumbnail image loads a larger image, clicking on the figure number downloads a PostScript image. Figure 1. The average ship-drift dervied surface velocities show the well-know omega-shaped flow pattern of the Loop current. 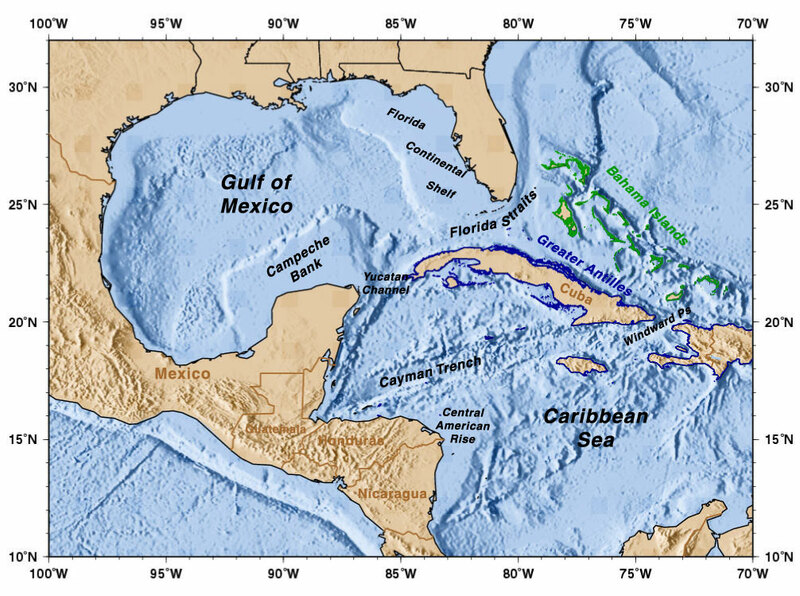 The Loop Current (1) feeds the Florida Current that transports significant amounts of heat poleward; (2) transports surface waters of tropical origin into the Gulf of Mexico; and (3) is fed by the Caribbean current and the Yucatan Current. Click here for example plots of seasonal averages. Figure 2. 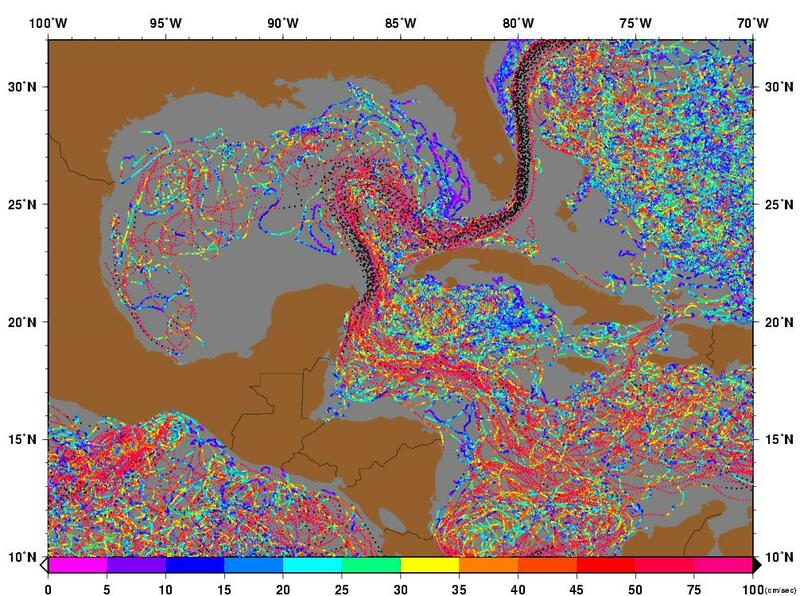 Global Ocean Surface Velocities from Drifters (top panel w/ SST, bottom panel w/ Speed) Figure Caption is Under Construction. Click here for example plots of seasonal averages. Figure 7. The trajectory of near-surface drifters that show the same circulation pattern as discussed in Figure 1. 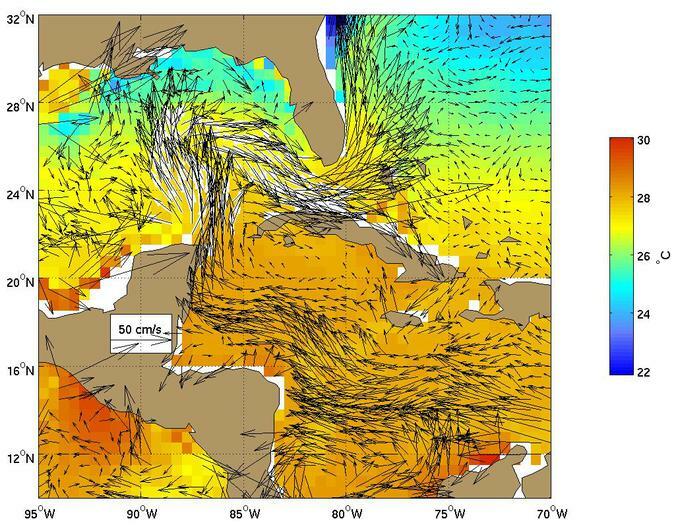 Though these four drifters were launched in very different locations in the subtropical Atlantic and Caribbean Sea they all ended up in the Loop current with very similar trajectories and near 25°N, the drifters all flow through basically the same small region off of the Florida Keys. Figure 8. 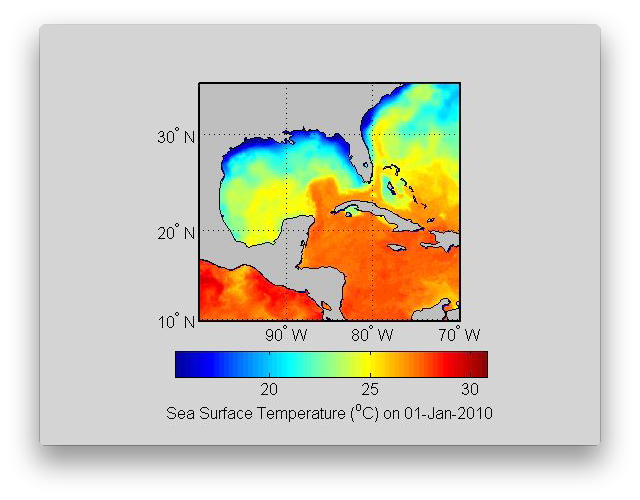 An image of the sea surface temperature in the Gulf of Mexico. Red colors are water with surface temperatures near 80 °F (27 °C) and are associated with the Loop Current. The image also shows small cyclonic eddies that are common in this region. 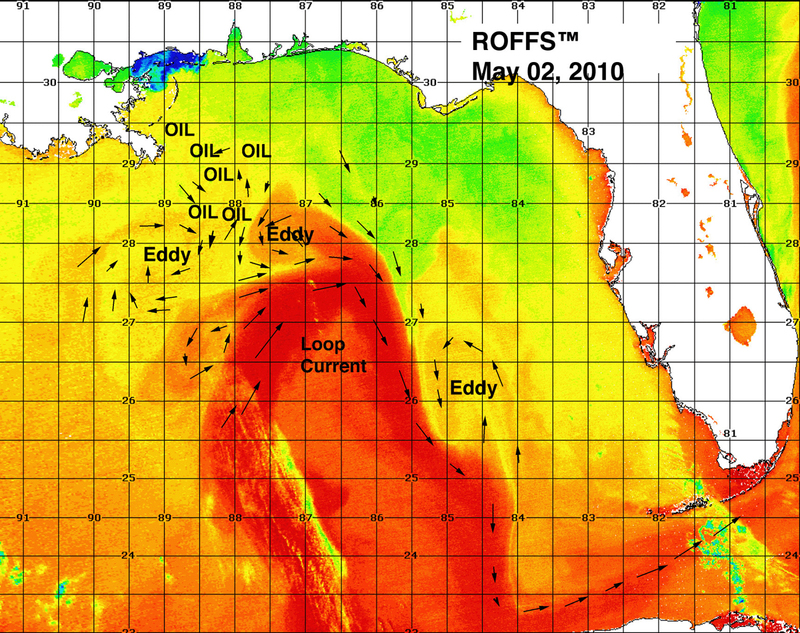 This is an analysis by ROFFs for monitoring the 2010 oil spill and the image is courtesy of Dr. Mitch Roffer (ROFFS). Figure 9. Geography of the region. Figure 10. Topography/Bathymetry of the region. Figure 11. The Loop Current as represented by the HYCOM Model. This figure shows the sea surface velocity and sea surface height anomilies for January. Click here for example plots of monthly averages including slide shows and side-by-side comparisons with MGSVA velocities. Figure 12. 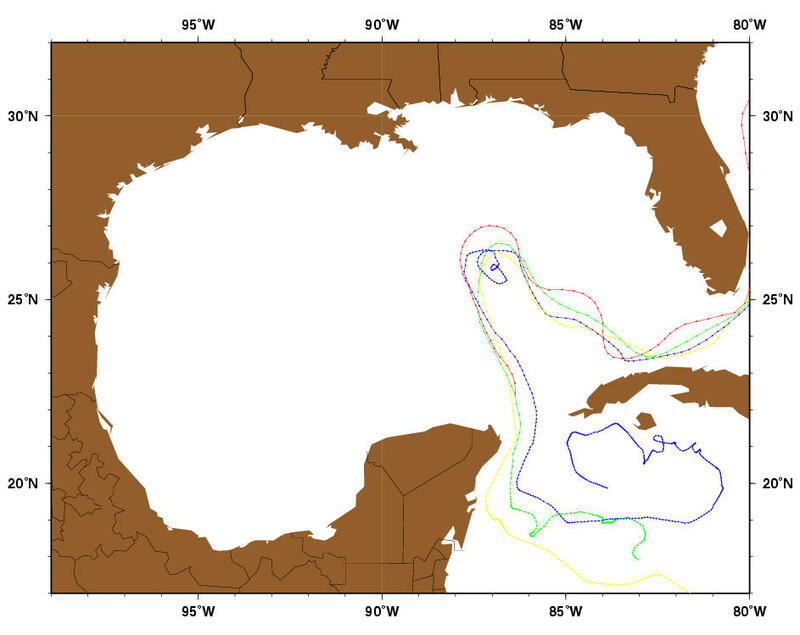 A SST map illustrating the large extent of the Loop Current into the Gulf of Mexico. 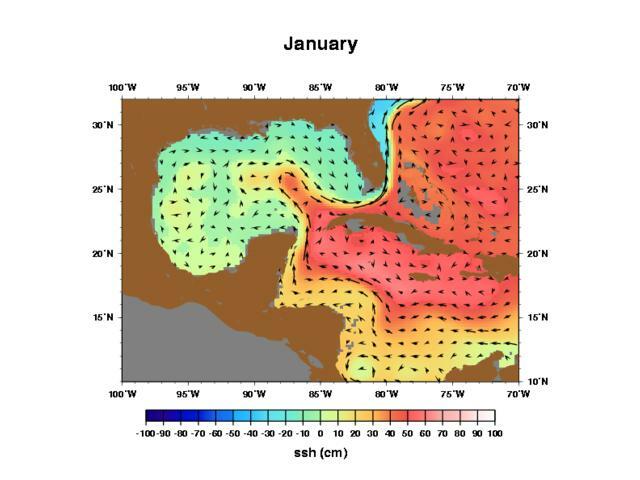 This SST map is from February 19-20, 1996. Also evident is the Florida Current, offshore of the east coast of Florida, cool coastal waters around the Gulf Coast states and northern Florida, and a warmer filament of surface water being wrapped around the Loop Current indicating that a Loop Current Ring will probably detach from the current.